It was probably a good thing that I watched the entire British Movietone newsreel from the 1930s about the College of Arms, because there was a (marginally) related link after the closing screen of another visit to the College of Arms, this time by one "Bond. James Bond." 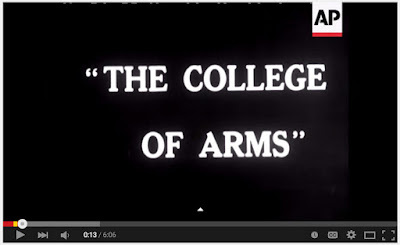 in the 1969 movie On Her Majesty's Secret Service. 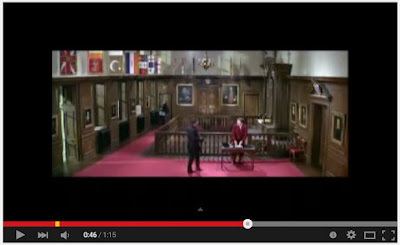 As you can see in the still above, Agent 007 visits the actual College of Arms in London, where he is shown here in the main reception room at the College, next to the Earl Marshal's Court (the area inside the railing). 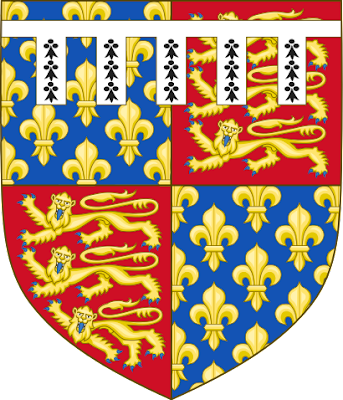 The drawing of the arms shown in the clip are, in fact, those of Sir Thomas Bond, created a baronet by King Charles II, and whose arms are blazoned in Burke's General Armory as Argent on a chevron sable three bezants, and whose crest is On a mount vert a lion sejant argent. The motto, Orbis non sufficit, gave rise to the title of the later Bond movie, The World Is Not Enough. And now you know, if not "the rest," at least "some more," of the story. There are some sports enthusiasts in Scotland who seem to think that the Lord Lyon King of Arms shouldn't have any authority over the emblems used by Scottish football (what we Americans call "soccer") clubs. 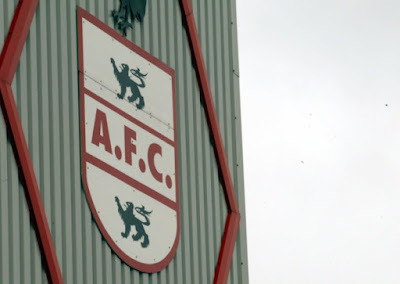 The article, "Call to arms over threat to Scottish club badges" by Colin Telford, gives some background into the controversy, which began with a letter from the Lyon Court's Procurator Fiscal to the Airdrieonians Football Club (above)about their use of an "heraldic device" as their badge, and gives a short list of some of the limitations that Lyon imposes on such badges. However, rather than learning more about the laws of heraldry and the jurisdiction of the Lyon Court and then trying to see how these sports clubs can work within that framework, he ends up by calling for a petition to remove corporate bodies and community groups (say, for example, football clubs) from the bailiwick of the Lord Lyon and have these entities register their insignia as trademarks instead. Time for the Lord Lyon, a hangover from the mediaeval era, to shuffle off into the twilight of history. What's more important, that sports clubs be allowed to operate freely, for the benefit of their communities, or that a few old crusties should pretend they still have a role in the modern world? I'm not so young myself but these people need to get out of contemporary Scotland. Last June 26, I posted about an article that poked fun, or in some cases, tried to but didn't quite make it, at US state flags. 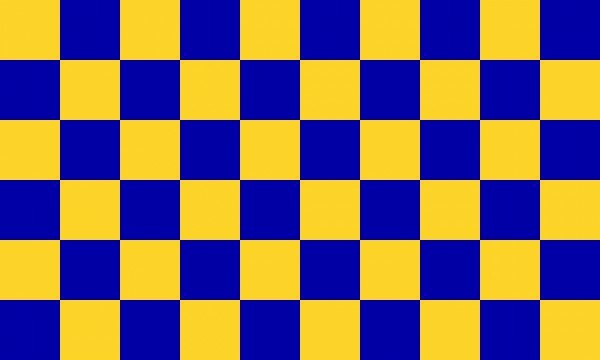 Now I've run across another article, this one poking fun at British county flags, entitled "Is your county flag one of the 20 most bonkers in the UK?" 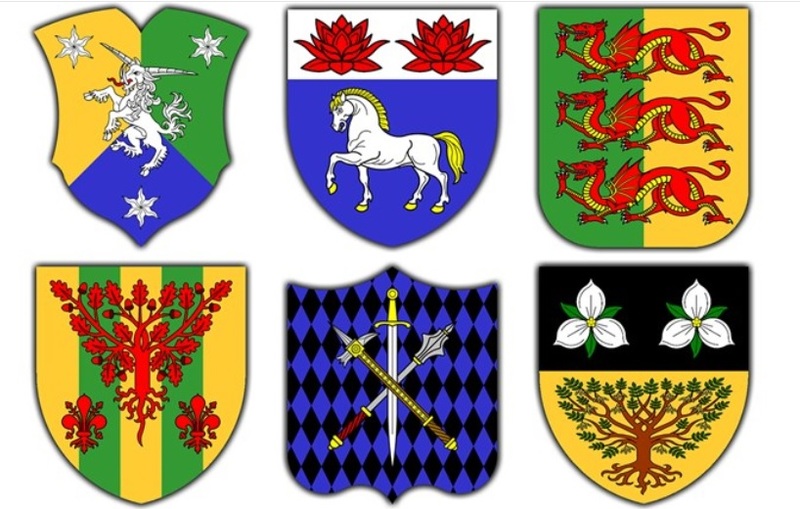 I'm going to give you just a couple of examples from the article, but before you start in on me, yes, I know that the author either: (1) has very little knowledge of heraldic meanings; or (2) simply decided to ignore that knowledge to go ahead and poke some fun at these flags. Cheshire: fighting off ferocious hay bales since 980 AD. That or they've got a woeful grasp of appropriate agricultural instruments. 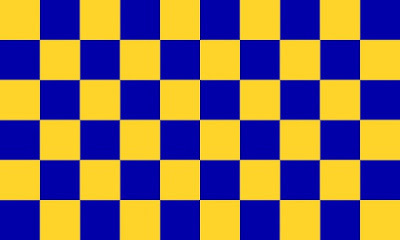 If you're looking for a psychedelic board to play draughts on, Surrey's flag is for you. 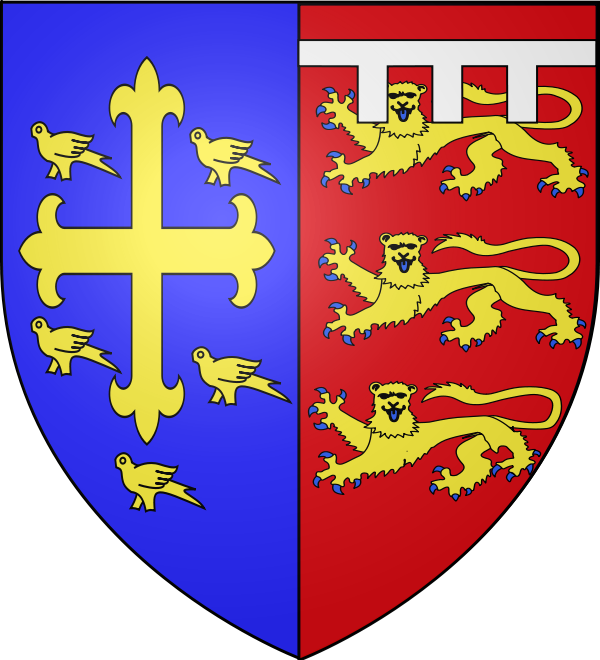 Yes, I know that this is simply the arms of de Warrenne, Checky or and azure. 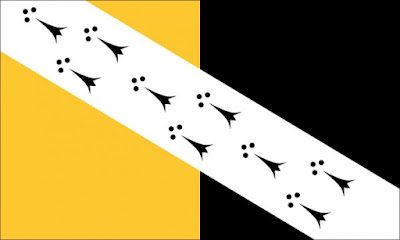 Norfolk had a lovely banner of gold and black with a white bar. Until some bloody bird walked over the white paint! Yes, it's really not a "bar" but a bend, and it's really not bird prints but ermine. Still, you have to admit, it really does look a bit like bird tracks. And I laughed out loud at what the author said about the flag of Merionethshire, given as the "most bonkers county flag in Britain!" But now that I've seen the comment, I'll never see the flag in quite the same way ever again. I periodically see a request made on one heraldic newsgroup/bulletin board/Facebook page/etc. 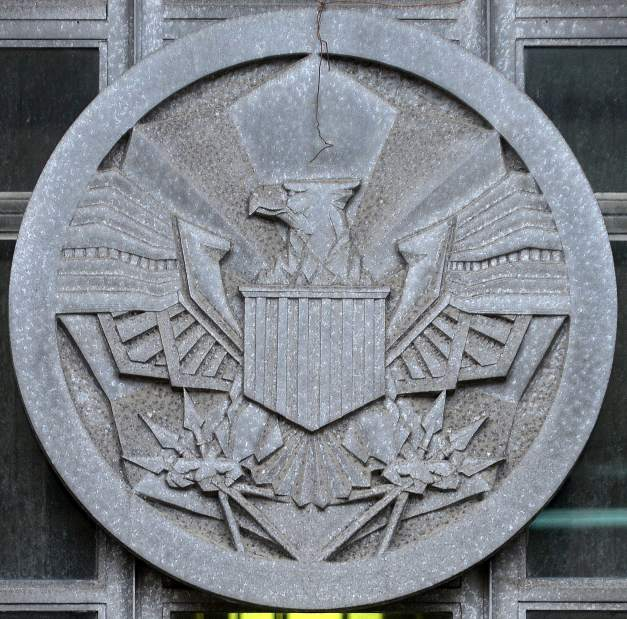 where someone is asking about whether there is any software anywhere that would allow a person to type in a blazon and the program would create a picture of the coat of arms. 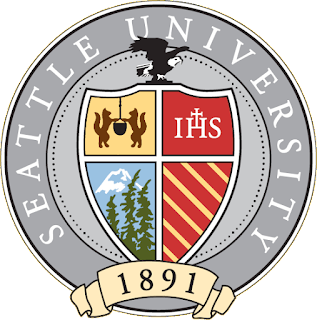 There have been a (very) few programs that have done so in the past (Blazons! is one early one which comes to mind), but they all have been very limited in what they would allow you do with them, in some cases simply inserting a question mark when the program didn't understand the heraldic term or did not have a particular charge in its database, or simply giving an error message for that part of the blazon. Indeed, I wrote about one such on-line program in my post of January 12, 2012 (http://blog.appletonstudios.com/2012/01/on-line-heraldry-drawing-program.html). Be that as it may, there's a new downloadable program (the website calls it an App, but since it is written for Windows 8.1, I think it's really better termed a program, but what do I know?) 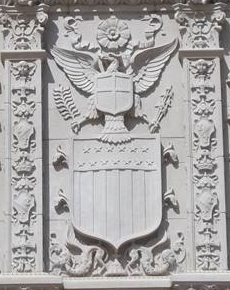 out there that attempts to fill this niche, name "Heraldry." Created by Tomas Brattström and published by Miralon, the graphics (from the picture above, taken from the website where the application can be downloaded) appear to be pretty decent. There is also an image with thumbnails of different screens which, if you click on the individual images, give you a larger picture with some of the different things that can be done with charges, including size, color, placement, and orientation. So it does seem to be a bit more robust than similar programs in the past. No, really, I do! When I see the production of a play put on by the Royal Shakespeare Company, I expect them to get the heraldry right. All of the heraldry. In watching the DVD of the 2013 RSC production of Richard II starring David Tennant, some of the heraldry just looked a bit "off" to me. Surprisingly, when I hit the heraldry books and did some research, some of it was correct, and I was the one who was wrong. For example, the coat of arms worn by Thomas Mowbray, Duke of Norfolk, in the play were not the Mowbray arms of Gules a lion rampant argent. 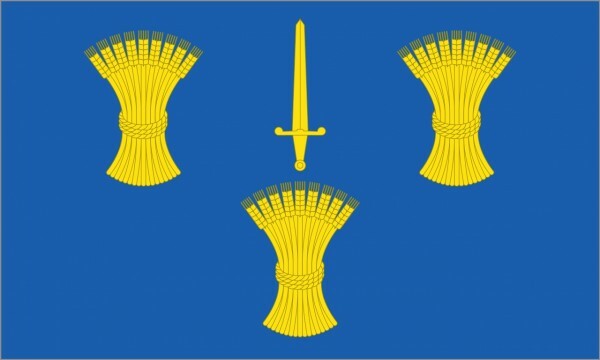 Which are the arms Mowbray bore as Earl Marshall (quartered by England with a label). 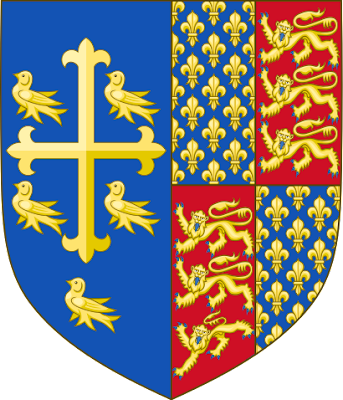 But as Duke of Norfolk, he bore Per pale, the arms of St. Edward the Confessor and England with a label argent. 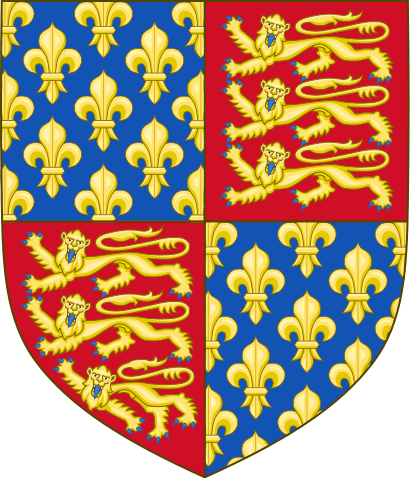 The arms shown for Richard II were simply Quarterly France ancient and England. Which at the time of the play, late in Richard's reign, were not the arms he was using. Those were the arms of his grandfather, Edward III. 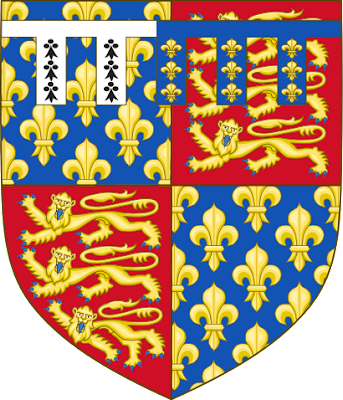 The arms that Richard was using at this point in his reign were these; the arms of St. Edward the Confessor marshaled with the then Royal Arms of England. You can easily see the difference. 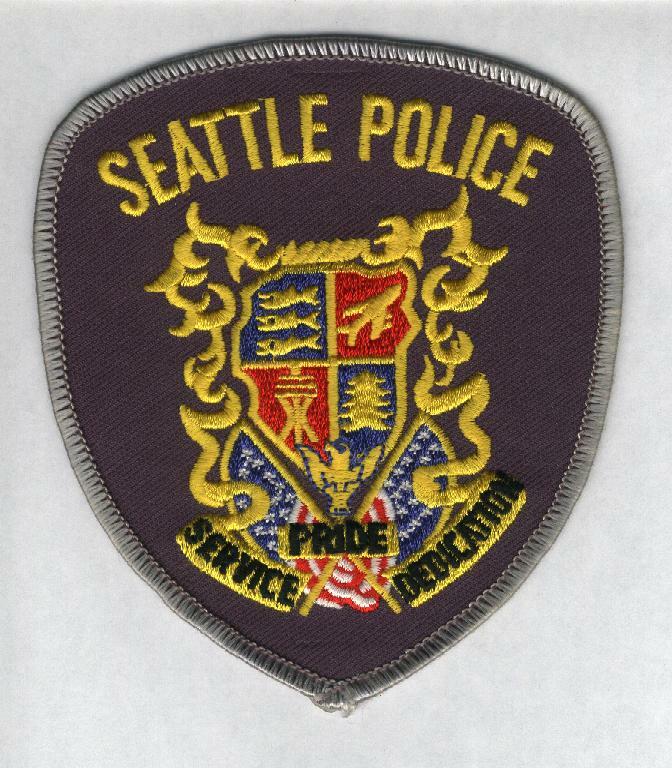 It's great when a production gets the heraldry right, as this one did in several instances. I especially liked the projection of the White Hart badge of Richard II on the backdrop of the stage for one scene. But really, if they can get some of it right, can't they also get the rest of it correct, too? It's always a bit amazing to me, that it's possible to go cruising about the internet, not looking for anything particular, reading an article or post here and there, and BAM! 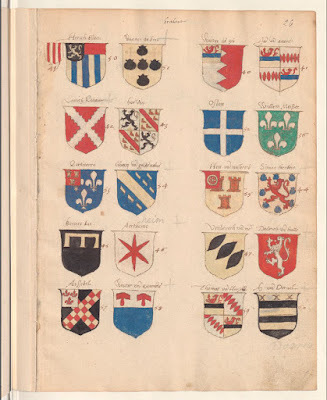 Stumble across some heraldry you've not seen before. 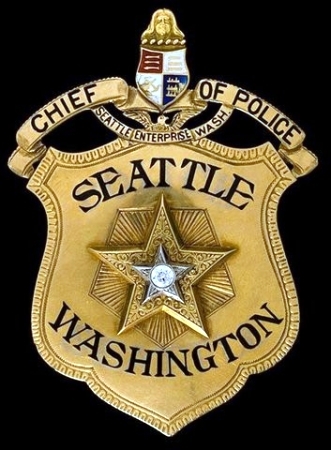 In this specific instance, it was a brief post on Facebook, which included the "crest" of the Seattle, Oregon Police Department. The design intrigued me (not necessarily in a good way; it follows a far, far too common pattern for civic arms here in the United States, of having four quarters, each with a different charge or charges in each quarter). Here, we've got all sorts of symbols that pretty much scream "Seattle!" There are salmon in the first quarter; a commercial airliner in the second, presumably made by the Boeing Corporation, headquartered in the area; the Seattle Space Needle in the third, a relic of the 1962 World's Fair held there; and a tree (presumably a giant redwood, but I could be mistaken about that) in the fourth. But as I say, I was intrigued, and thought I'd see what else I might find related to it. And wouldn't you know? There was more out there. 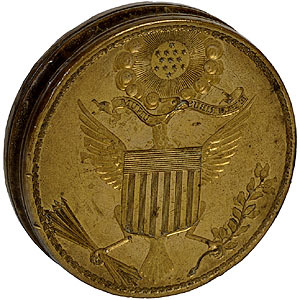 The two above, for example, are pretty clearly an older design, though it's hard to make out all of the charges in the quarters at this size. (Some, at least, are probably salmon again.) 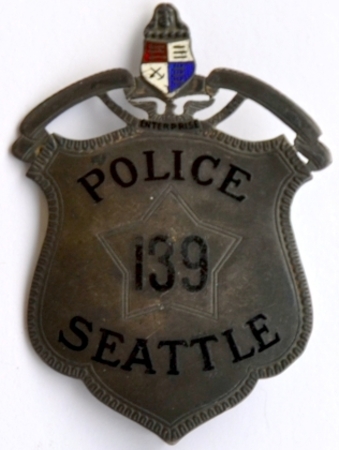 And it doesn't help that some of the charges are metal on metal (argent with or charges), very low contrast, which tends to "muddy" the outlines. But that's why heraldry has the Rule of Contrast. It's all about identification, people! Not everything I found was the same or similar, mind you. 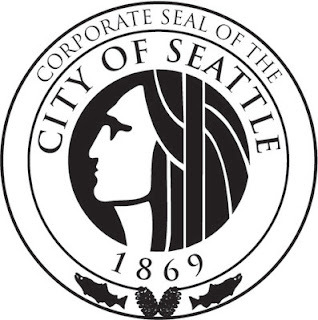 I mean, the City of Seattle uses an entirely different, non-heraldic design. Seattle University, too, though adopting the quartered coat with different stuff in each quarter (Oh, look! There's Mount Rainier seen through some pine trees! ), uses an entirely different arrangement of colors and charges on their shield. 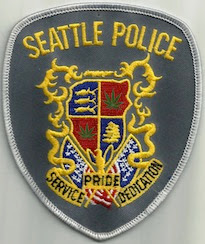 Hence the green marijuana leaves in the second and third quarters (albeit now color on color. 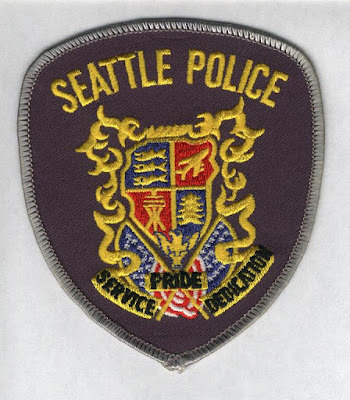 Not the worst heraldic color combination, but still ... it's about identification, people!). Anyway, it was an interesting search to go on, all begun by stumbling across a picture in a short post on Facebook. The July 4 date just passed got me to thinking about the foundational document of the United States of America, the Declaration of Independence, issued 239 years ago. 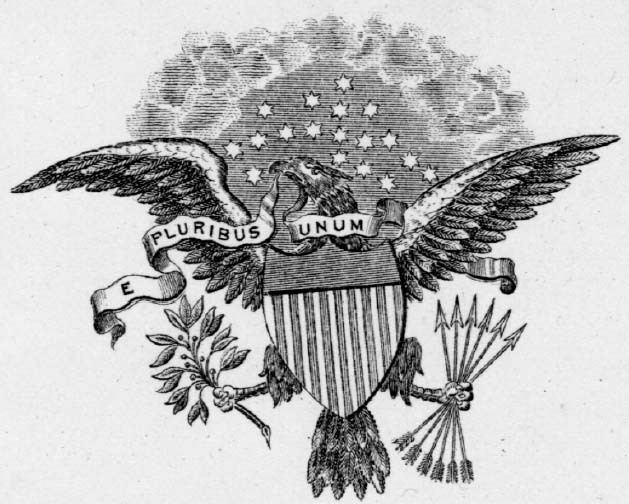 The publication of the Declaration was followed closely by the establishment of a committee to design a seal and coat of arms for the newly-declared nation. 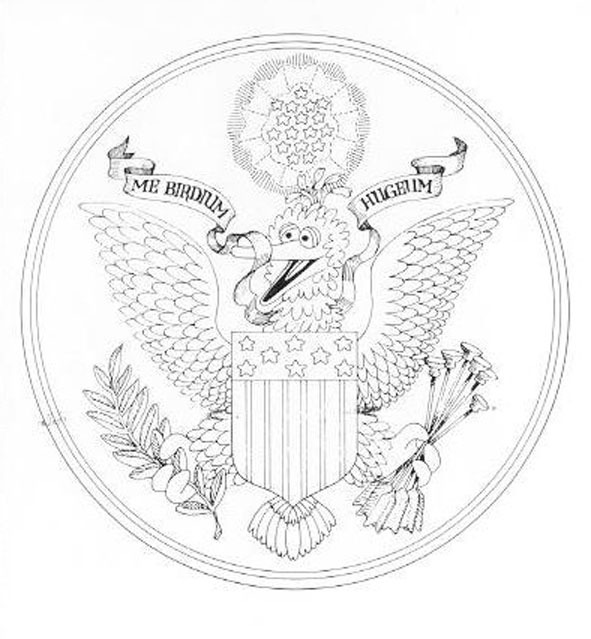 The die of the new seal cut in 1782 (and so, of course, in reverse). The bow of a model of the USS New York, a naval cruiser from the late 1800s. 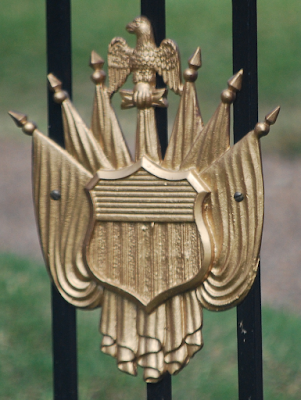 On the gates to the cemetery for Union casualties during the American Civil War at Vicksburg, Mississippi. 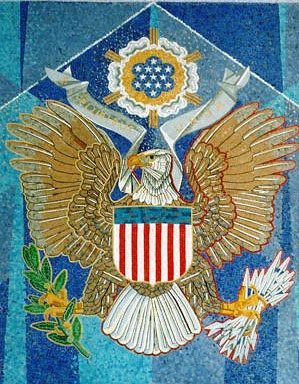 In mosaic at the Rhone American Cemetery in Draguinan, France, for American soldiers killed nearby during World War II. 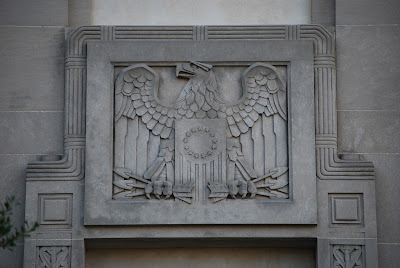 A couple of Art Deco interpretations done in the 1930s. 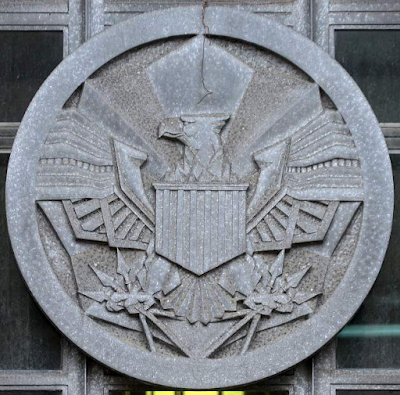 On the Kensington, Pennsylvania, old Post Office building. 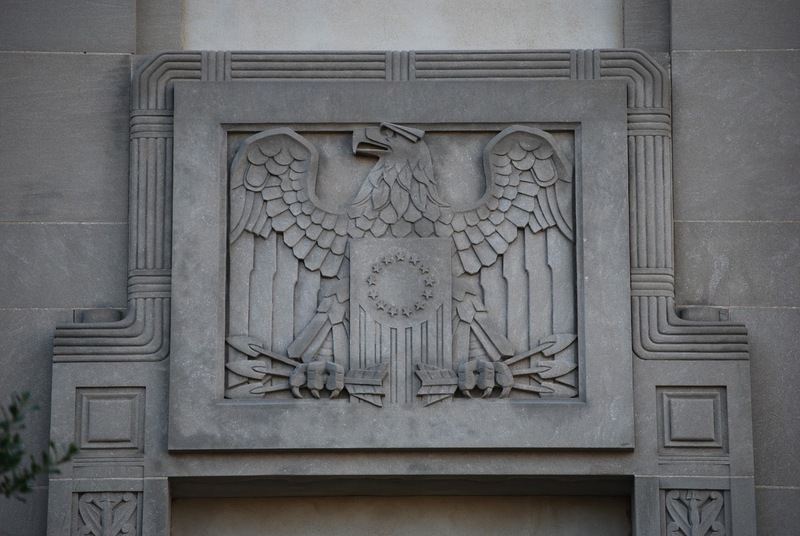 On the High Point, North Carolina, old Post Office building. 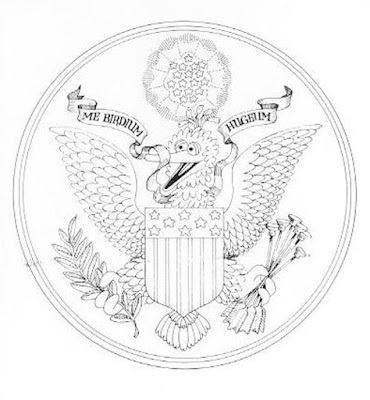 The "seal" of Big Bird from Sesame Street. 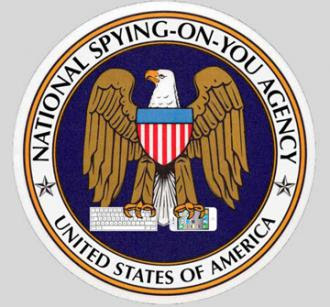 And a protest against what the artist thought is the overreach of the National Security Agency, substituting a new set of words for the "S" in "NSA". Yeah, you. 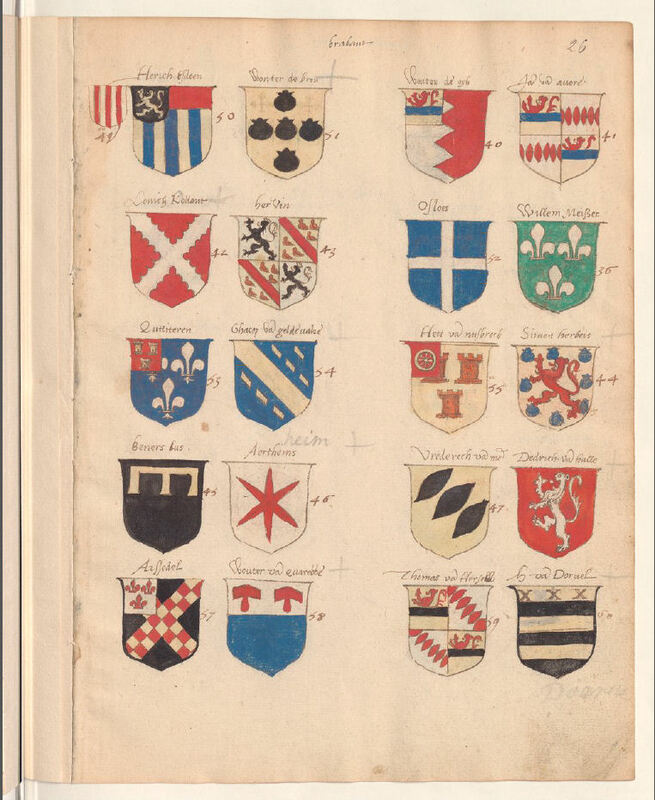 You wanna get some free downloads of some early French armorials? Naw, this is the real deal, I'm tellin' ya. Sure they're high res. What else would they be? Oh, yeah, I remember some of those early ones. Well, those days are past. This stuff is primo. Take my word for it. Trust me! Seriously, it sometimes pays to go back and revisit web pages that I've looked at before, because the web is not static, and things can - and do - improve. In this particular instance, it was a post from way back in December 31, 2012, on La langue du blason, a French-language blog that I visit periodically. I'd kept track of this post because it had links to several early French armorials digitized and uploaded by the French National Library (BNF), but for some reason, while all of the links worked for me, the BNF site would only let me download some of the armorials linked, and not others. And frankly, I like to be able to download such things to my hard drive so that I can research them at my leisure without having to go on-line. It's particularly useful if I'm traveling, where I might not always have a good internet connection, and I can copy them to an external hard drive and look at them on my netbook wherever I happen to be, with or without an internet connection. Enjoy! I certainly intend to do so with the ones I have now been able to add to the French armorials on my hard drive.